In this hairpin lace crochet tutorial we showed you how to make a hairpin lace strip for this beautiful square motif or snowflake ornament. After we remove the strip of the hairpin loom, we placed it to the mat giving the right shape to our snowflake, then we started to crochet trim around creating a big and small petal for our snowflake. 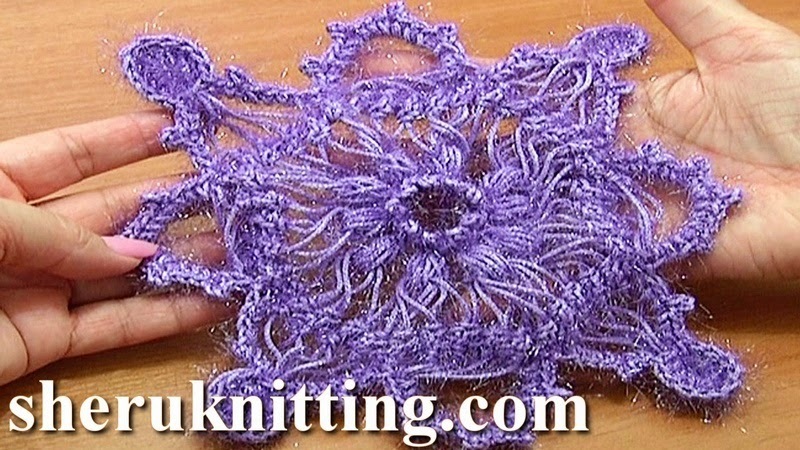 Continue to work with us watching hairpin crochet tutorial 7 part two and you will see how to complete this unique Christmas ornament. Thanks for watching!